I've been playing with this new ‘fabric'. 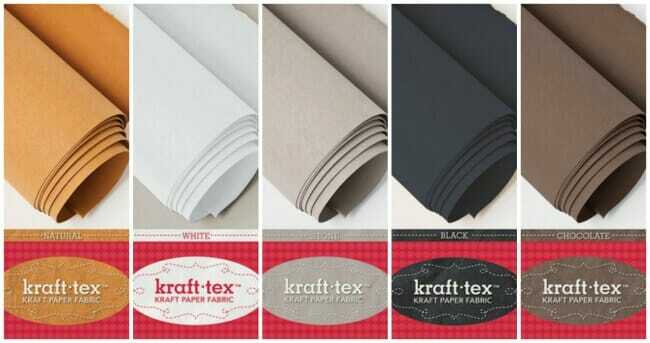 It's called Kraft Tex, is described as a paper fabric, designed to look a bit like leather, is tear proof, water resistant, easy to work with and very versatile. 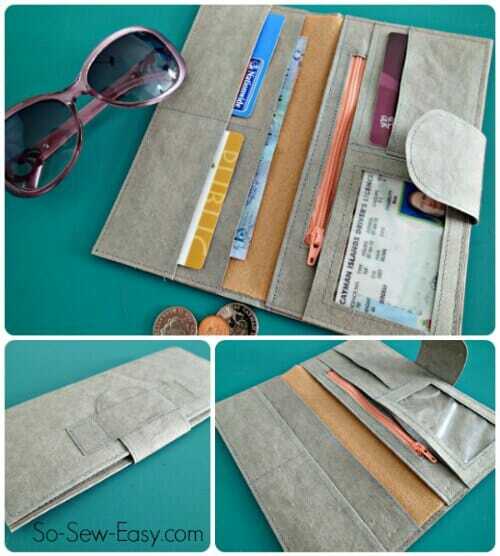 You can use it in crafting of all sorts, including sew with it. Use it flat straight out of the packet or pre-treat it to make it look more like leather. It's great for sewing and using in bags as well as all sorts of mixed media and paper crafts too. C&T Publishing who have created this product have some cool free project ideas so that you can try out various different projects. 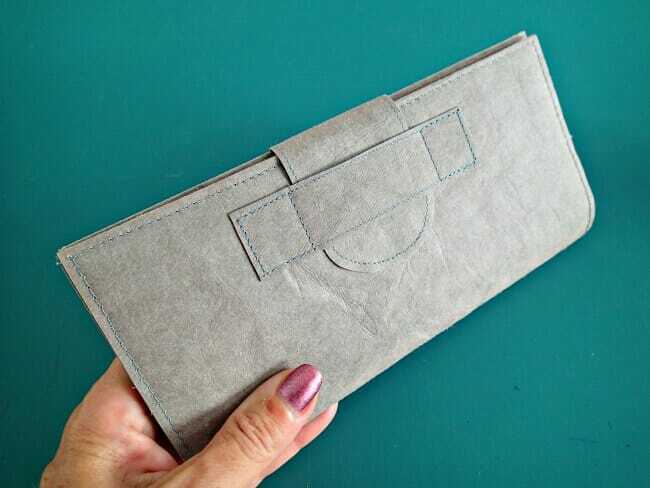 I know how much many of you prefer to watch a video on how to do something, rather than look at written words and pictures, so today I'm sharing with you how to create the basic Kraft Tex wallet from the free pattern that comes with the rolls. That's all there is to it. 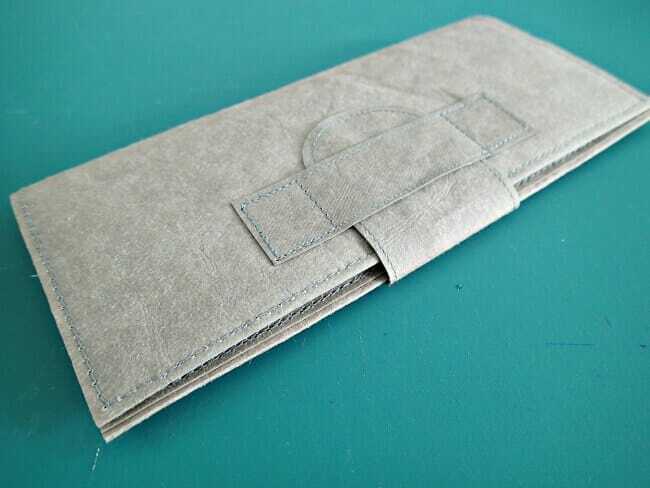 No raw edges to be finished, no interfacing, really quite quick and easy to sew and very usable. 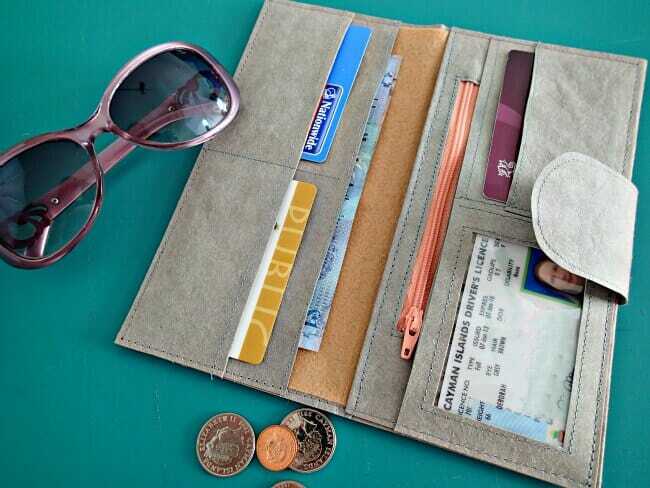 Hubby liked this a lot and has asked if I can design a man-wallet for him. He's a it fussy though, and carries more in his wallet than I do in my purse so that's going to need quite some designing! If it turns out well, I'll share it with you of course. 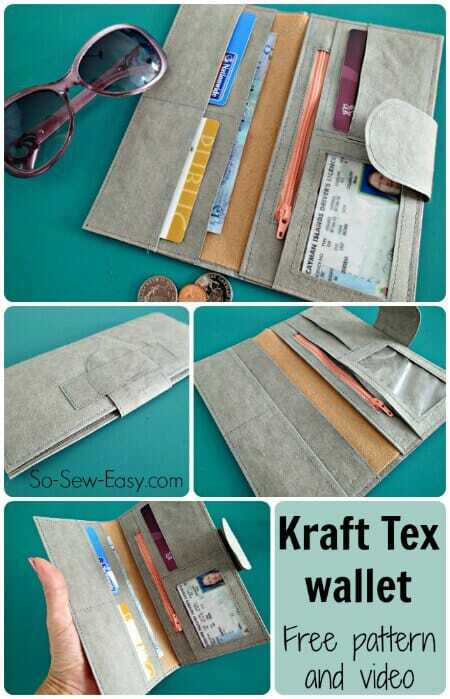 In the meantime, get yourself a roll of the Kraft Tex and give this wallet a try. 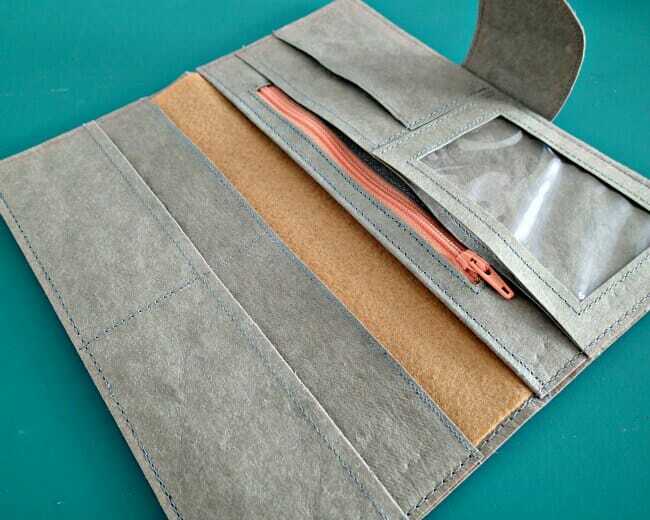 You can also buy a book, Kraft Tex Style which gives you all sorts of fabulous project ideas from the very quick and simple to the most fabulous bags, wallets and more. 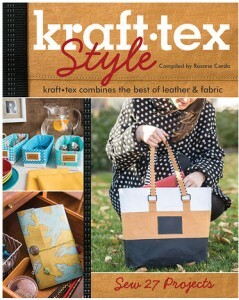 I’ve got the book and do recommend it if you want to learn more about the sort of projects you can make with Kraft Tex. Hi Mayra, thank you for this tutorial 🙂 I started working with kraft tex now and made a roling cigarrets case, but the seams and needle holes are not very pretty in the inside. Do you suggest any special needle or thread for this material that might help? thank you! Hi Vanessa, totally agree with you that normal thread sometimes does not work. Try rayon thread or leather thread. I find the shine the thickness makes it look more professional. 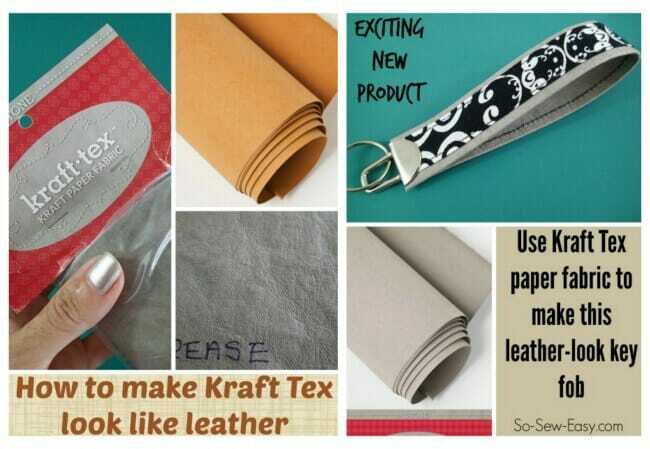 Do treat Kraft Tex as leather and you will get great results. I’m using an Epson WF-2540 printer and the Kraft-tex 8.5×11 sheets will not feed into the printer. I’m trying to make labels. Do you know if there is a setting for this type of print media. I was thinking something like card stock paper. I can’t fined a setting that will work. Hi Janice you need to head to a stationary store and buy the printer label paper. And yes, your Printer will have the setting for the specific size available for that printer. Perhaps do a google search to see what you can do with your printer. I really like working with Craft Tex,. 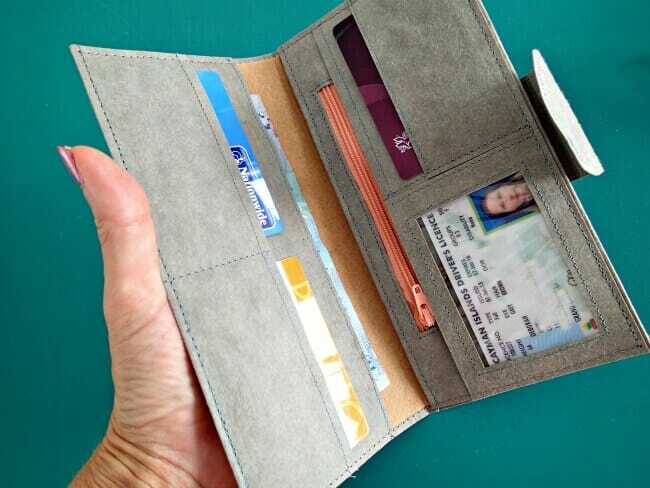 I have made my husband a wallet and he loves it! Just wondering if you used your fabric scissors when cutting with it or did you use paper scissors? Hi Brenda, I’m glad you like Craft Tex too. You can use either fabric or paper scissors with this material. Please enjoy! Thank you so much for all the info on this product and for the video my kraft tex is being delivered tomorrow so very excited to experiment with it. Still thinking about buying the book but wanted to ‘play’ with the creasing washing etc to get the look right for my project. If it turns out well I will be happy to post a picture somewhere. I purchased the vintage envelope download back in September and have only now got time to make it up for a special friends birthday pressie. Thank you again your site is awesome I have learnt so much and you have given me the confidence to sew again after 23 years. Hi Deby, great video. I bought some Kraft Tex from Amazon after your first review. I have an iPad mini and when my hubby bought it for me he also bought a keyboard. Well I have not been able to find a portfolio to accommodate both. I went to the Apple Store and they don’t make it unless you buy the cover that comes with the keyboard. So I thought Kraft Tex would be perfect for this. I don’t know how I will do it. Still pondering. Story of my life. Anyway thanks Deby for introducing us to this product. Wishing you a Healthy Wealthy New Year. Hugs Val in Canada. Please include a written tutorial in a link when you do video tutorials. I like to learn from the videos best, but I live so far out with satellite internet. We are limited on use and cannot watch video except between midnight and 6:00 am. without being punished. I have tried to down load tutorial videos on U-tube without success. I have ordered some Kraft Tex. 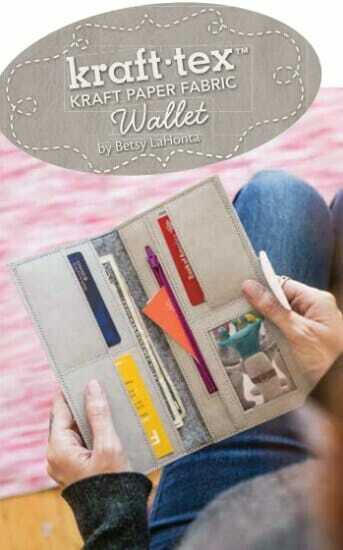 I’m loving the wallet idea! I also wonder how it would come out making some baby moccasins. Thanks very much Anne. I’m loving this new ‘fabric’.